High-intensity nose. Green apple and apricot. Very fresh smelling. As the wine warms, petrol also shows up adding more complexity. On the palate, the same high-intensity of the nose carries through with very vivid and intense green apple and apricot. The high, mouthwatering acidity also highlights some lime as well as a stony flint note that reminds me more of a Sancerre than a Riesling. Dry with medium body weight. Long-finish brings back the petrol but it’s not as intense as the fruit. This is an outstanding Riesling that I’m disappointed that it took me this long to discover. At $30-35, this is on the high-end for American Rieslings. But I’m not pulling your leg when I’m saying that this is, hands down, the best domestic Riesling that I’ve tried. I’m spoiled with a lot of great Washington State Rieslings but this tops them. I would put this Smith-Madrone more on par with minerally Trocken Rieslings from Germany. This complex riesling has layered notes of papaya, petrol and honeysuckle. It’s nice and dry, with bright acidity. Pitch perfect balance. Impressive. As usual, one of the best Rieslings made in California. Pale yellow-gold in the glass, this wine smells of petrol and pear and honeysuckle. In the mouth, lemon and pear flavors have a hint of tangerine and a touch of butterscotch as they crackle with excellent acidity across the palate. Wet-chalkboard minerality leaves a clean dry feeling on the palate with only the whisper of aromatic sweetness. So, this is delicious. Smith-Madrone 2015 Riesling, grown on the high elevation slopes of the Spring Mountain District in the Mayacamas Mountains. Loving the current vintage. Yum. Riesling is probably not the first grape that comes to mind when you think of Napa Valley, but, if you like Austrian Rieslings, this bottle is right up your alley. The 2015 vintage is bright and bone dry, with almond blossom and lemon aromas, plus a hint of petrol. Flavors include white peach, pear, lemon, and bittersweet blood orange. Smith Madrone has been growing Riesling in the Spring Mountain District since 1971.... the 2015 release is the very definition of racy. It is bright, clean and delicious, with grace notes of citrus fruit and honeysuckle. Thanks to consistency in quality, I’ll always keep wines from Smith-Madrone Vineyards on my go-to list. Offering a unique surprise in each sip, the Smith-Madrone Riesling 2015 presented aromas of stone fruit, juicy peaches, and tropical fruit. Full bodied and balanced, the glorious dry Riesling burst with intense, broad, and racy notes of orchard fruit, herbs, and mouthwatering acidity. Lean but not bone dry, the finish was persistent and absolutely delightful with elements of minerality and citrus. The Smith-Madrone Riesling 2015, fermented in stainless steel, was not blended with other varietals and did not experience malolactic fermentation or lees stirring. A true expression of terroir? You bet! A Riesling from Napa? This is one of the best surprises you’ll have! Only 685 cases were made. Peel away the layers of a wine, and you’ll often find that the people behind the label are one of the most intriguing parts of the story. What brought the vintners or growers to this point? What luck or derailments have they experienced along the way? Stu and Charlie Smith have volumes to tell; they’ve been on Spring Mountain since the early 1970s. Armed with Berkeley degrees, they combine smarts with a no-nonsense approach, and make wines, like this Riesling, that don’t just show deliciously attractive fruit, but a depth of aromas that reveal themselves slowly and seductively in the glass. Put this Riesling next to many others, and you’ll see the difference. Even Germany, the quintessential home of the Riesling grape, recently purchased a pallet of Smith Madrone Riesling! For parts of their story, visit smithmadrone.com. To experience their "salt-of-the-earth" character and incredible line-up of wines, you’ll need to make an appointment and head up the hill. There is an incredible ripe fruitiness to this wine — white peach, apricot, citrus and orange marmalade — for such a lean alcohol level. Bracing acidity balanced the fruit bowl. 94 points: Every year, there comes a wine from Spring Mountain that is consistently an insane steal of a value and to us, one of if not the finest domestic Riesling around. Notes of white peach, crushed rock, yellow apple, honey, citrus peel, jasmine, lime and subtle spice. Refreshing and crisp palate, super clean, the acidity and minerality really sing. Well balanced, not overly sweet, just purity and freshness that rings throughout. Absolutely beautiful and the measuring stick of California Riesling. Enjoy now over the next 20+ years. The Smith-Madrone Vineyards Riesling 2015 is made from dry-farmed vines high atop Spring Mountain, west of the city of St. Helena in the central Napa Valley. Seeing no oak, the wine practically vibrates with racy nervosity and a scintillating limestone and flint element. A light straw-gold hue, it offers delicate aromas of peach, lychee and pear wreathed with notes of jasmine and honeysuckle and the true varietal character of slightly oily petrol, a quality sometimes referred to as rubber eraser; a few moments in the glass bring in hints of apple and lime peel. This one feels chiseled in its lovely, chiming tone and presence on the palate, delivering crystalline clarity of peach and spiced pear flavors driving through to a bracing, slightly saline finish pointed by a touch of grapefruit bitterness. 12.6 percent alcohol. Production was 685 cases. Enticing now, this superior riesling will drink best from 2020 through 2030. Excellent. There’s substantial complexity to this wine both aromatically and in the mouth. Look for white flowers, under-ripe nectarine, pineapple, lemon-lime slate and a faint note of kerosene. The flavors are very long, more intense than the nose and carried alternately by waves of acidity and super-fine, brushed suede texture. Drink now though 2030. As they stuck with Riesling, Smith-Madrone has also stood by their original winery building, traditional winemaking approach, and producing wines that are about balance and drinking pleasure, rather than impact and opacity. This is expected of Riesling, but applies equally to the Smith-Madrone Chardonnay and Cabernet Sauvignon-based wines. Like their Cabernet Sauvignon, Smith-Madrone Riesling ages beautifully. A recent seminar I conducted highlighted this fact. Part of my educational conference for wine writers (Wine Writers' Educational Tour) held this past May in Napa Valley), the session brought together five of the valley’s modern legends of winemaking and viticulture to discuss the past 50 years in Napa and pour both current releases and library wines. Most participants brought Cabernet Sauvignon, which were all excellent. But Stu brought his 2015 and 2008 Rieslings; the writers fell in love. Let's start with the reliably excellent Riesling from Smith-Madrone, who have thumbed their noses at the world for decades and made Riesling from the slopes of Spring Mountain, where everyone else would be growing Cabernet. The wine is usually excellent, but I do think this is the best it's ever tasted on release. Pale gold in the glass, this wine smells of Asian pear and wet chalkboard and a touch of paraffin. In the mouth, Asian pear, lemon zest, and tangerine juice flavors are zippy with excellent acidity. Clean crisp, with a nice wet chalkboard minerality. This wine is always excellent, but the 2015 strikes me as exceptionally well balanced and exciting. This is the inaugural edition of Try this Wine, a series we hope to make regular on the website. You can’t know more than you taste, and knowledge is what builds a palate, so exploration is key to developing an appreciation for wine. Each edition will spotlight a wine that we believe has, whether we happen to like it or not, a compelling reason or two for people to try. Some of the wines will be harder to find and/or more expensive than others, but the one theme that will be constant is our belief that the wines we feature will improve your appreciation for wine. At the bottom of each Try this Wine post, you’ll find a list of places to purchase the wine. There are a couple of things that combine to make riesling a special grape like no other. The versatility of the grape is, I would argue, without peers. It can be grown in so many different soils and climates, it’s remarkable. It also picks up terroir as well as any grape, and better than most. Multiply its ability to grow in so many different places by its ability to represent each unique location and you end up with a massive range of differences. With its racy acid, focus and complexity, riesling is also an incredibly versatile and nimble partner of food. On top of that, it ages gracefully and for decades (when grown and made to do so). In the collateral sent with the Smith-Madrone sample, Stu writes that “we think this will have a lifespan of 20-30 years” and there’s no doubt that he is right. The best-made riesling in Germany and Austria is known to gain complexity over decades and decades. Stu’s been making riesling long enough to know, when he says his will go twenty to thirty years, that it will do so while improving. They ferment it in stainless, and keep it there through clarification, aging and filtration. It’s 100% riesling that is kept from going through malolactic fermentation and gets no lees stirring. This is all to say, it’s really well-grown estate riesling from a really great mountain site that showcases terroir and talent. Stu boasts of “a proud history with this varietal, from our very first vintage. That 1977 vintage won the Riesling Competition of the 1979 Wine Olympics, a tasting organized in Paris by the food and wine guide Gault & Millau.” Bring on The Germans and Austrians. Tasting note: What a wonderful nose with elevated florals, dried apricot, tangerine, wet stones, chalk, margarita salt and white peach. Medium in weight, the acid is racy with a lush texture. The ripe flavors hit on tangerine, yellow peach, lime, rhubarb and tobiko. The finish goes for ages. Another brilliant vintage of this stuff, the 2015 should have a brilliant fifteen to twenty year lifespan, at least. 92 points, value A.
Smith-Madrone, Spring Mountain District (Napa Valley, California) Riesling 2015 ($32): I never do this, but in this case I think it’s appropriate to throw some numbers at you. 12.6% alcohol (you can drink more of me) and 3.03 pH (you won’t get tired of me). Those are numbers that will make you think you’re in some other part of the world, because they occur in only a small handful of wines from California. The Smith brothers make legacy Cabernet Sauvignon and Chardonnay, but this might be their best wine, and it’s certainly among the best wines in the world vintage after vintage. This time around, it’s all about fresh lemon, lime, tangerine and white flowers that soar on an updraft of stony minerality, leaving you refreshed and ready for more -- more appetizers, more wine, more pleasure. That pleasure promises to increase with extended bottle age. This will easily outlive just about your entire collection -- thirty years isn’t out of the question. Now that’s a number you can be impressed by! This Smith-Madrone is like a bracing dip into a refreshing pool. A steely, slightly funky nose speeds into an iridescent, Granny Smith-aromatic palate framed by zingy, bright, electric fruit, and crisp energy. The acidic vigor and clean finish all add up to smiles followed by refills. Fun to drink and really darn good. As a sommelier who works at NoMad in Los Angeles, I spend a lot of time matching up wine with items from a fine-dining menu. Certain wines are known to elevate particular ingredients, of course—think of Muscadet and oysters, Sauternes and foie gras, and Cabernet paired with a juicy steak. It’s also thrilling what a little effervescence can do to a dish. But I’ll be honest: I don’t come from the school of thought that there are rules for eating and drinking. And considering that the West yields some of the country’s most sought-after delicacies, from seafood to cheese, why not pair this culinary bounty with wines from resident vintners producing intriguing sips from esoteric grapes? Sea Urchin: Once rarely seen outside of sushi restaurants and more often exported straight to Japan, sea urchin (aka uni) has become one of the most popular mollusks on menus no matter if they are French, Italian, or California-focused. With a flavor that’s a distinctive mix of briny, sweet, and buttery, the sea creatures are harvested off the coast near Santa Barbara. One of the most enlightening matches I’ve had was sea urchin pasta with a glass of off-dry Riesling. The uni had melted into the spaghetti strands, coating them in a creamy saline sauce, and the wine lent just a hint of sweetness. I’ve been trying to re-create the contrast of flavors ever since and would attempt again with a bottle of Smith-Madrone Riesling 2014 (Spring Mountain District, Napa Valley). Stuart Smith planted the original Riesling vines in 1971 on the steep, dry-farmed slopes that surround the winery on Spring Mountain. With a low 12.6% ABV, this impressive white has the typicity of the variety with an Old World side. Cutting-edge, racy tight-wire acidity leaves its mark. After starting with a perfume of petrol and honeyed apricot, it takes on a palate that owns up to a paradigm both lush and lean. The stone fruit is surrounded by a minerality that’s fierce but will probably prove incredibly age-worthy. An epic riesling from one of Napa’s best producers of this grape; Smith-Madrone has been growing riesling in the Spring Mountain District since 1971. Unlike the 2014 vintage, which was lush, deep and round, the 2015 is the very definition of racy. It is bright, clean and delicious with a solid core of minerality surrounded by grace notes of citrus fruit and honeysuckle. When Stu Smith first planted vines in 1970, Riesling was one of the grapes he planted. At the time, Riesling sold for the same amount of money as Cabernet Sauvignon. His 1979 Riesling was entered in the wine competition sponsored by the French restaurant guide Gault Millau and won Best Riesling over German wines. Unfortunately, a red wine boom in the 1980s resulted in much of the Riesling being pulled up. Today there are 87 acres planted to Riesling in Napa and Smith Madrone has 9 acres and produces 685 cases. The 2015 Riesling has fresh aromas of lemon, apricot, green apple and wet stones. It is crisp and bright and elegant and the acidity dances on the tongue. Typically, my favorite riesling is made in cool climates like the Mosel region of Germany or the Finger Lakes here in New York....that is to say a riesling that shows both bracing acidity and delicate pear and citrus notes, along with harmoniously balanced residual sugar. What I'm rarely impressed with is riesling made in warm climates. Most examples I've tried from California, for instance, are overly ripe juice bombs that show no skill in winemaking or grape growing.That certainly wasn't the case, however, when I enjoyed this excellent riesling from Napa: 2015 Riesling grown, produced & bottled by Smith-Madrone (St. Helena, California). This wine is 100% riesling from Napa's Spring Mountain District. This delicious riesling (which in a blind tasting could easily make you think it's cool climate riesling) comes in at 12.6% ABV and 0.68% residual sugar. The wine showed a pale straw color. Pear, apple, lemon, slate and whiffs of petrol each arrived on a nose that slowly developed as the wine opened up. Pear, apple, lemon curd, slate and hints of stone fruit followed on the palate where the pear and apple met the ripe citrus and stone fruit on the finish. The wine exhibited great acidity and minerality, along with good structure and length. This wine would do well as an aperitif on a warm afternoon and would pair nicely with a Thai green curry. Light yellow. Aromas of which peaches, salted limes, chalk dust, white tea and fresh tennis balls. On the palate this is juicy and zesty with live-wire acidity that kicks off the wine and finishes it. Gorgeous peaches, nectarines and limes, with complex minerals, ocean rocks, mountain streams. Lip-smacking stuff that leaves the palate salivating. Another great vintage of this Riesling, and t will surely age quite nicely for at least a decade. The 2014 Riesling is a structured, unoaked, bone-dry expression of white peach, citrus and wildflowers underpinned by wet-stone minerality and bracing acidity. It, like the Cabernet, has shown a capacity for long aging. The minerality is screaming out of the glass. With fresh aromas of lemon, green apple, apricot and wet stones, this wine is powerful but elegant. It is crisp and bright and the acidity dances on the tongue. This wine is just so enjoyable! Seriously, people. Why are we not all drinking more riesling? The price-to-quality ratio for most rieslings we’ll find on the market is pretty much off the hook even, or especially, for older vintages. Both things are true for this riesling from Napa – that it’ll be even better 10 to 15 or even 20 years from now, and $32? For a single varietal bottle, of this quality, from the Spring Mountain District? Come on. American grown Riesling is gaining popularity but at Smith-Madrone, that is nothing new. They have been producing Estate Riesling since soon after they planted it on the steep slopes of Spring Mountain in 1971. Winemakers, Charlie Smith and Stuart Smith, let the fruit and the vintage do the talking and just make pure and classic Riesling. Their newest release, 2015, is tasting delicious out the gates but has some major potential to evolve over the next couple decades. Fresh zesty aromas and flavors of lemon peel, green apple, honey suckle, and crushed stone. It is clean and bright with a fabulous tingly minerality on the finish that feels like it is dancing throughout your palate to entice the senses. This is a wine that will reward patience but your patience will be tested. This impeccably balanced Riesling is among the best I've had. This wine is crafted from 100% estate fruit from 42 year-old vines at 1,800 ft elevation. The dry-farmed vines are planted on very steep slopes (up to 35%), thereby honoring the international tradition of Riesling which thrives on steep hillsides. Taste – White peach, pear, lemon-lime, and honey flavors with a hint of apricot gelée and very appealing minerality. chicken, grilled pork chops, or charcuterie. And what about that Riesling? The Smith-Madrone remains one of the most inspirational products in American wine. There’s a retro-trendy belief nowadays that California’s terroir is one in which Riesling thrives. Riesling was actually one of the most popular white grape plantings of the Napa of the 1800s—pre-Phylloxera armageddon—and we are on the cusp of a new movement to define what “California Riesling” means today. But, to have a vision of the future of Riesling’s importance to the identity of Napa Valley in 1972 like Stuart Smith did—well, that makes him a kind of Nikola Tesla of the wine world. The Smith-Madrone Riesling is a contemporary American classic and stands as one of our most essential white wines—that everyone can experience at less than 30 bucks. Rapturously rich, with ripe tropical fruit (lychee, mango), peach nectar and orange blossom notes and a touch of flintiness and minerality. Grapes are grown on steep hillsides, like they do in Germany and Alsace—home to the world’s greatest Rieslings. Man, this is the sophisticated, structured and vivid stuff of dreams. Dry and focused, but also warm, ripe and finishing on the vibrant acidity of citrus—great mouthfeel from beginning to end. This is Riesling going for character and longevity versus quick-pleasing and obvious, like too many American Rieslings of yesterday. Iconoclastic, singular and fiercely independent expression of American Riesling from a place you don’t expect Riesling to be made. 91 points: This fantastic Spring Mountain Riesling from Smith-Madrone opens with pretty aromas of white peach, lychee and lime followed by crushed stones and hints of white floral, which all take shape beautifully in the glass. On the palate this fresh and inviting Riesling is well balanced with a wonderful mix of fruit and acidity. Overall, this is a dry style of Riesling, but there is a lovely hint of residual sugar, making this impossible to resist. From the first sniff and sip, I was left nearly speechless. One word burst forth: KALEIDOSCOPE! In my mind’s eye, I saw multiple points of lights in dazzling array, reflecting in sparkling symmetry. Layer upon layer of myriad shapes and colors coalesced in prism perfection, evolving in an ever changing, ever enchanting montage. This Riesling is just that. From its lush bouquet of honeysuckle, lemon, orange blossom, stone fruit, pear, mint and a hint of petrol to its layered palate of apricot, peach and lychee (stone fruit trifecta!) and grapefruit, tangerine & lime (citrus trifecta! ), there is no end to the vibrant scents & flavors of this immensely complex wine! There is just the faintest whisper of sweetness, barely discernible, thank the heavens above! The strong backbone of minerality is laced with pleasing salinity. Crisp & defined like the jagged points of a kaleidoscope pattern, each sip shaves the palate clean. Yet juxtaposed on that trademark acidity is a lingering silky finish that made me slap my hand on the counter & sigh. This is a phenomenal Riesling for Riesling haters! This is a phenomenal Riesling for Riesling lovers! I have reformed. No longer a Riesling rebel but now a Riesling raver, I hope you take my rah-rah review seriously. And not with a grain of salt, please, but rather a tiny bit of residual sugar on top. Trust me, an encounter with this wine will color your world in brilliant kaleidoscope patterns. OK, that’s it. This is the fourth or fifth American Riesling that I have had in recent weeks that proves my theory—American Riesling producers have caught up to the Old World. Perhaps more than any variety, makers of Riesling in this country seem to get it: it is all about the acidity. This Smith-Madrone (one of the most under-rated Napa producers) has great citrus, melon, and a touch of petrol (ever-so-slight) followed by lip-smacking tartness and a weighty mouthfeel. Gangbusters. Outstanding. 91-93 Points. A "Spirited White," great with lighter meats and vegetarian options, but can also cut through butter and cream…Yes, there is a little Riesling grown in Napa Valley—or I should say, “still grown;” this one derives from 42-year-old vines. Its robe is pale yellow and it offers typical aromas of wax and wet street mingling with lemon oil, thyme, and rubbed sage. The body has good substance, with a mix of tree fruit, citrus and tropical fruit (guava and passion fruit), and the finish is long and succulent. This beautiful Riesling is all estate grown in the Spring Mountain District using 42 year old vines. It is 100% varietal and fermented in stainless steel tanks. Aromas of honeysuckle, orange blossom, lychee, and citrus fruits. Medium bodied across the palate with a bright acidity. Ripe flavors of white peach, Asian Pear, citrus, and a hint of minerality at the finish. Pair with Asian foods, fresh salads, baked chicken or ham, and seafood. 94 Points. Now for those of you in denial of summer’s end, this Riesling is a fine solace for your woes. The honeysuckle and lemon peel aromas will certainly remind you of warmer weather. The slight, yet distinctive petrol aromas, orange blossom notes and smooth mouthfeel will finish bone-dry. It seems to usher you right into the drier, savory months of autumn. Similar to this varietal’s old world versions, Smith-Madrone grows their Riesling along the steep mountain slopes that assist beautifully in their ripening process and crisp, refreshing notes. Whether paired with crab or seasoned pork loin with root vegetables, surely this wine is truly fit to consume no matter what time of year. A pale straw color, this wine smells like lime and limeade! Jasmine flower, gardenia and other white florals with a stony, earthy quality fill out the aroma. The taste is a slightly toned down version of the smell with high acidity but a round, soft texture. A dry Riesling, the flavor has an herbaceous, stony quality to balance the citrus notes. Amazing that you can grow such a lively, tasty Riesling in Napa. It’s a feat many try but at which few succeed. Made from their estate grown fruit high atop Spring Mountain, the brothers Smith, who own and operate the winery, are focused and land-oriented. Vines have thrived on the hillsides of their 200 acre property for over 100 years, and not much has changed. 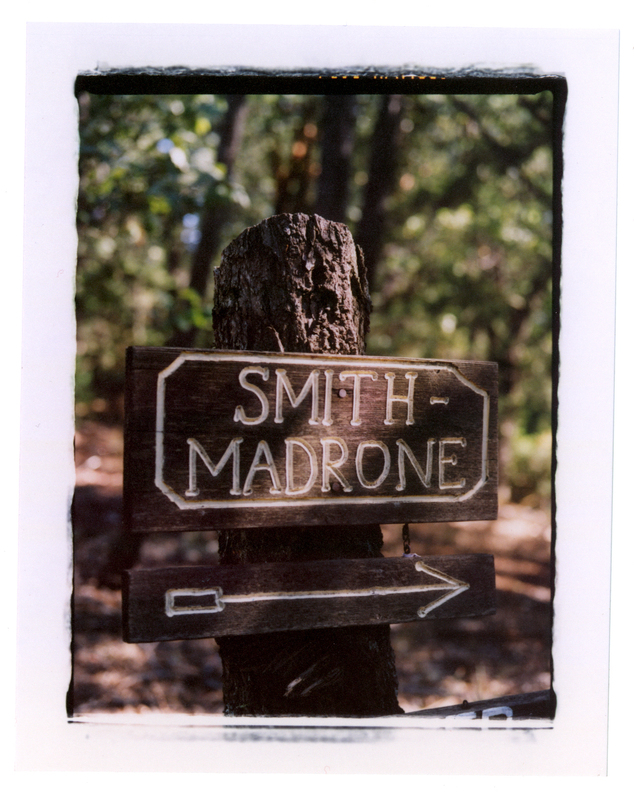 Smith Madrone dry farms their estate (they don’t use irrigation/watering), they study terroir – especially slope and soil type – to match the grape to the site, and the result is distinctive wines that have a sense of place. Having tasted a number of super sweet Rieslings from California, you could say that we haven't really been too enthralled about it and usually shift towards German Rieslings, but this magical one from Smith Madrone really is a wonderful expression of what Californian Riesling can and should be. Notes of green apples, white peach, apricot, kiwi, lime, slight saline, citrus peel, orange blossom and crushed rock. Really clean mouthfeel, well structured, bright acidity and huge backbone of minerality. Don't sleep on this gem, mountain grown Riesling is where the grape actually thrives (on the slopes). Incredible value wine. Salty honey, melon and mineral explode with acidic fireworks straight at you. Viscous banana and sharp fresh paper placate and shred the nostrils at once, vibrant and alive, churning brilliance. All your Riesling dreams and goals are coming to life in this one, boys and girls. This is one not often trotted out in trendy recent who’s-who lists of California Riesling, but this grandfather from Napa GETS IT. Where your hipster groupings run somewhere between "interesting" and :odd," this Spring Mountain stalwart cranks out the goodness it has for DECADES. In the mouth, lilokoi coats the tongue, sweet and peppery, lavish and razor-sharp, curious curls of petrol greasy syrup fall around, elevating and propping up the eviscerating acid. Fat and ripe EXACTLY where it needs to be, but chubbiness surrounded by chilling minerality makes for a textbook Riesling. Why (why?) do we not drink more Riesling from California? From Napa, even? Yes, I know (I know...) that Napa wins with its Cabernet Sauvignon and Chardonnay, and even with its Sauvignon Blanc. But, if you're a college football fan, that's a little like saying Alabama, USC or Ohio State are going to win the NCAA title this year, so what's the use in all the other teams even playing? Come on. You know that there's more to it than that, that it's the chutzpah that makes it interesting, and that there are winemakers in Napa with a lot more experience and creative skin in the game. Stu and Charles Smith have been working these vines -- these specific Riesling vines in a specific location on the slopes of Spring Mountain -- for more than 42 years now. They get what needs to be got from it, and put it all in the bottle. Fragrant citrus blossom, slate and hints of earth show brilliantly on the nose with this high-spirited spot-on Riesling. White peach, Meyer lemon, crushed herbs, honeysuckle and a solid thread of minerality simply dazzle the palate. Impeccable balance and verve carry through the long, lime-accented finish. Lemon, honey, cinnamon and peppermint dominate on the nose, completed by a juicy, sweet grapefruit palate. There’s sufficient zesty acidity to make it refreshing, backed by typical Riesling characters that last on the finish. Absolutely delicious, this bright and lively 100% Riesling prompted several “Wows!” and more than a few “Riesling from Napa?” remarks when I poured tastes for friends. All of us were delighted and rightly so. Fresh aromas of lemon, yellow flowers, orange peel, stone fruit, and minerality burst from the glass. Clean and gracious, notes of juicy citrus and minerality, zesty acidity and a round mouthfeel were dominant with each sip. The finish on this crisp, dry Riesling? Long and luscious. Light blonde in the glass, this wine smells of petrol and citrus peel. In the mouth, tangerine peel and citrus pith mix with crackling crushed stone minerality. Excellent acidity. While this wine may have had a hint of sweetness when first released, it is headed towards savoriness. It has entered its second phase of maturation, leaving its fruity youth behind and heading towards something more sophisticated. Our number one choice and our favorite is a dry Riesling from Smith-Madrone. It is the perfect balance of fruit and high acidity. The nose is of peach blossoms and lime. The wine is so smooth on the palate and it has an incredibly long finish. The pairings of food and wine combinations with this bottle are endless. Napa's best Riesling was also on offer this week, in the form of the annual bottling from Smith-Madrone on Spring Mountain. This vintage is particularly charming….Palest gold in the glass, this wine smells of citrus pith, mandarin peel, and a touch of diesel. In the mouth, faintly sweet flavors of Asian pear, mandarin juice and pink grapefruit have a gorgeously bright aspect thanks to excellent acidity. The wine finishes quite long and regal on the palate. Delicious, as always. Pronounced aromas of crushed stone, petrol, white stone fruit, citrus and jasmine; dry racy palate with medium+ mouthwatering acidity, elegant with medium body, great minerality/crushed stone on the palate, long finish; this wine is truly fantastic, makes a great summer pairing with sushi, seafood, salads, poultry, shellfish, frittata, pizza, etc;. This waxy, stone-scented mélange mingles citrus, guava and passion fruit and offers a succulent finish. The 2014 Riesling from Spring Mountain is light straw in color and highly aromatic with a floral nose, stone fruit and up front tropical fruitiness. Medium-weight with good density, it is easy drinking and offers considerable pleasure. The vines are grown on Eastern exposures, honoring the international steep slope tradition. The age of the vines is 42 years, very mature, giving outstanding depth and complexity, in my opinion, not achievable by vines in their early leaf years. The aromas delivered the classic Riesling characteristics. A good amount of petrol, a bit carbonated, stone fruits like apricot, lime rind, wet stone, and white peach flesh. The taste was a bit off-dry, though the acidity was crisp, the body was medium and the tannins were moderate, well-integrated. On the palate, kiwi slices, grated lime rind, wet stone minerality, stone fruits, apricot, peach, and nectarine. The finish was long and persistent. This wine is recommended, my score, 90 points. The aroma of orange blossoms and a faint trace of earthy/TDN give this superb wine an off-dry impression, as does the entry because the wine is so rich, and has a trace of sugar. But the wine is relatively dry since the acid level is so perfectly suited for the intensity. Sensational with Thai cuisine. The 2014 dry Riesling from Stu and Charlie Smith is an exquisite example of impeccable balance combined with intense aromas and a final result that is greater than the sum of its parts. The nose offers an alluring minerality that is impossible to miss but hardly overwhelming. With zesty green fruits, yellow citrus and pear notes, the flavors are remarkably complex. The palate is smooth, with a long, clean finish. Drink now or cellar for several years. It will only get better with a bit more time. 94 points: Smith-Madrone sticks with their Riesling planting because they love what it does, and you should love it as well. Pay no mind to the California Riesling haters -- this is the real deal, delivering fresh pear, stonefruit, white flowers and mixed citrus in a crisp, dry, refreshing package that will make you wonder why every California winery isn't making and promoting Riesling. Those in the know can tell you that dry Riesling goes with just about anything at the table -- and that it ages well. Cheers to the Smith brothers for ignoring alleged market trends and continuing to make this stellar wine. A reticent nose but a compelling palate with streaky flint and slate, dandelion and orange zest held together by perfectly balanced acid and weight. It just needs more time in the cellar to bring that nose to bear and fully develop. Riesling is a wine geek’s wine. It’ reflects terroir like no other, and since it does well in many, many climates and is therefore grown all around the world, we can experience a lot of different terroir through the lens of one grape. Further, it ranges from bone dry to very sweet, which makes it even more diverse a grape to explore, especially with food (wine pairing: one of the most passionate interests of a wine geek). These factors combine to make riesling exponentially interesting to people who like to pay close attention to their wine, which makes riesling’s commercial struggles all the more frustrating because it puts an artificial ceiling the amount of production by providing a lot of financial disincentive for wineries to produce the grape, let alone put a lot of effort into it. It is fitting that Smith-Madrone was the inspiration of the tasting as its owner and winemaker, Stu Smith, is an outspoken proponent of the grape who makes it despite the difficulty he has selling it because he believes so fundamentally in its importance and worth as a varietal that speaks to the very best of what wine can be. In addition to myself and Isaac, our tasting panel included other riesling lovers who we felt would understand why we were doing the tasting and enjoy the experience: Washington Post wine writer Dave McIntyre, wine consultant Alison Smith Marriot, and two serious oenophiles/drinking buddies of mine. And then we had a special guest…Stu Smith of Smith-Madrone Winery! Stu was able to swing by about fifteen wines into the tasting and catch up to the group by the end. It was a real pleasure to have Stu and Julie Ann join us in an effort to further appreciation of the grape Stu seems to feel the most passionate about. The wines were tasted blind in a randomized order and, knowing that his wine was the impetus for the tasting, the unveiling of his wine as a consensus top-3 pick came as what I would imagine was at least a little relief, though who were any of us, really, to pass judgment on the wine of a Napa icon? More than anything, I (and I imagine the rest of the group) am just thankful Stu continues to prioritize a high quality riesling given the lowly demand for it. Entirely estate grown from dry-farmed grapes, this white sparkles with waxy apricot and pear flavors and crisp, underlying mineral stoniness. Dry, with refreshing acidity, it doesn’t skimp on mouthfeel, delivering a viscosity that’s invitingly complex and lingering. What 2014 riesling, 1,500 cases. 2014 chardonnay, 850 cases. 2013 cabernet sauvignon, 1,500 cases. The soil is rocky, volcanic, and has great drainage. Bright nose of limey minerality, apricot, banana leaf and peach. The palate is medium bodied with a high viscosity and cutting acidity. Loads of lemon, lime and slate on the initial hit, followed by white pepper as it turns to key lime pie with whipped cream and a hint of nutmeg and gets lush. The acid carries through on the long finish. Expertly crafted riesling with a promising decade of evolution ahead. Smith-Madrone's wines are made from well-tended, well-loved, dry-farmed vines. The wines are a lean, elegant, and focused expression of cool climate, mountain terroir. They reflect a consistency and keen sense of place . . . and good stewardship. If our Wine of the Week, Smith-Madrone 2014 Napa Valley Spring Mountain Riesling, had a proprietary name it could be "Mountain Joy" for the high-elevation pleasure it imparts. It has the suave delicacy of grapes grown in rocky mountain soil with long light exposure and cool temperatures, along with a bit of the swagger and sass this varietal can display when handled with care and understanding. On the palate, the wine offers an almost tempestuous swirl of fruit, full and lively, a merry-go-round of apricots, white peaches, nectarines, papaya, mango, pineapple, ripe Gravensteins and suggestions of orange honeydew melon. There are hints of orange flower blossoms, citrus zest, and enough mangosteen to make you long for a trip to Malaysia, where that elusive fruit is queen. This wine is best with the tangy foods of Southeast Asia, especially Malaysia, Thailand, and Vietnam. Thai larb with pork or squid, green papaya salads, green curries and the Vietnamese noodle salads known as "bün" are happy companions. As an aperitif, you'll enjoy it with feta cheese, green olives and Marcona almonds. For an easy weeknight dinner, enjoy a glass alongside a quick sauté of chicken thighs, sliced celery, sliced radishes, spinach, olive oil, lemon juice and fresh snipped chives. A simple taco of corn tortillas filled with avocado and radish salsa is a quick and delightful pairing, as are open-faced radish sandwiches with creme fraiche or fresh chevre. It is also excellent with most simple green salads. The wine is also absolutely exhilarating with green papaya salad. The Latin poet Virgil wrote “Bacchus loves the hills,” and he was on to something. Smith-Madrone’s riesling is planted in vineyards perched at 1,900 feet and it’s impressive. This dry riesling’s rich mouth-feel is kept in check with its bright acidity. It has notes of honeysuckle, papaya, apple and petrol. With its depth of flavors and lingering finish, the Smith-Madrone is striking. Contrary to what the poet said, April is not the cruelest month, at least not when it comes to wine. If you’re wondering what to pour with your Easter meal, Passover Seder, or any Spring celebration, this is the month to leave behind the heavier wines of winter and bring on brighter, lighter bottles. Read on for wines that tick all the boxes: Delicious, organic and/or sustainably grown, affordable, and widely available. You can thank us later. Smith-Madrone Riesling: For delicate, white-fleshed fish, such as spring’s first flounder, a nimble partner is this bottling, evoking ripe honeydew melon spritz with Meyer lemon. If you spot an older vintage, grab it. This wine ages beautifully for years. Amid the millionaires, castles and vanity wines that spring up in Napa Valley, there remain salt-of-the-earth types who came here without pretense, with a love of the land, and the grit to conquer the rugged terrain in the name of fine wine. The Smith brothers (Stuart and Charles) epitomize that renegade spirit of the second wave of individualists who came to Napa Valley and made something out of nothing. Their foresight should be legendary: they listened to forebears; looked at the steep slopes of Spring Mountain and saw great wines. One of their most sought-after productions is their riesling, and the 2014 has laser-like fruit focus with refreshing, yet deeply nuanced, complexity. This is the best riesling in Napa Valley, hands down. This high elevation Riesling wine shows brisk acidity considering the heat of the vintage. Aromatically subdued at first when needing a one hour decant, this wine begins with a bouquet of white roses, honeysuckle, unripe pear and petrol. There are deep flavors of Gravenstein apple, unripe honeydew melon, lemon rind and a touch of green papaya. This has lovely astringency and structure, as this currently displays an almost unctuous mouthfeel. Drink 2017-2022. High above the valley floor west of St Helena sits the Spring Mountain District, one of Napa Valley's sixteen AVAs. With steep hillside vineyards reaching altitudes upwards of 1500 feet, this is prime cab country. And at the very end of Spring Mountain Road is Smith-Madrone. Founded in 1971, Smith-Madrone winery was a pioneer in the practice of dry farming, still a very rare pursuit in California. That they are able to crank out quality wines - not just cabernet, either - from this location and in this manner is impressive indeed. Having been up there a couple of times before, a jaunt off the well-trodden route 29 is highly recommended. Quiet and serene, Spring Mountain feels like the rest of Napa probably did in the seventies. The wines are all made with precision and clarity. Honesty of place shines through in them all. Lovely wines. The Riesling is crystalline platinum blonde in the glass offering faint petrol and funk aromatics typical in some rieslings. This gives way to a light bodied and very clean palate. Low viscosity, and quite dry, but not at all lacking in flavor or character. The zippy finish has terrific acidic grip with citrus nuances and a nice mineral bump. All this while clocking in at under 13% ABV. Very Alsatian in style. Very enjoyable with or without food. This fantastic Spring Mountain Riesling opens with pretty aromas of white peach, lychee and lime followed by crushed stones and hints of white floral, which all take shape beautifully in the glass. On the palate this fresh and inviting Riesling is well balanced with a wonderful mix of fruit and acidity. Overall, this is a dry style of Riesling, but there is a lovely hint of residual sugar, making this impossible to resist. Lemon, honeysuckle, green apple and a hint of petrol show in the dry 2014 Riesling. It's very long and juicy on the palate. Smith-Madrone is a true pioneer of Spring Mountain wines and is still going strong. The 2014 Smith-Madrone Riesling Spring Mountain District is a fresh, dry, medium-bodied wine with alive with lemon-lime and under-ripe apricot. From the Smith brothers’ high-elevation, dry-farmed vineyard in Napa’s western mountains, these Riesling vines date back to 1972. Petrol flavors and aromas shine through in this savory wine, which tastes of juniper berry, orange blossom and white flower. It opens with a kick of fizziness, dissipating after a second. One of the most impressive California Rieslings I’ve tasted. Think Alsace. This is the kind of Riesling you can pair with steak, lay down to age for a few decades, or both. I’ve had dozens of Rieslings from California, and this one is the best I’ve tried, period. This is a WOW! Pear, grapefruit, and melon on the tongue; a perfect sip, not too dry, not too sweet. The quality of this wine for the price is outstanding. Riesling is a very versatile grape that can be used to make dry white wines with complex flavour profiles. Smith-Madrone’s Riesling is a superb example of the grape at its best. Smith Madrone Winery, located in St. Helena, is a pioneer in dry farming. All wines are in the Spring Mountain appellation of Napa Valley and are not only estate-grown, but estate-bottled. The Smith Madrone Riesling 2013 is just as elegant as it is delectable. The aromas of stone fruit, white peaches, dried apricot, and hint of lime wafted from the glass. I couldn’t wait to take a bite of the crab and a sip of this dry Riesling. On the palate, I found refreshing notes of melon, yellow flowers, and touch of spice, flavors that truly complemented the salinity of the crab, the spice of the curry, and other ingredients. With lip smacking acidity and a long finish, it wasn’t difficult to pour more than one glass of this wine, one that showed more complexity that I could have ever imagined. A dry Riesling that has been grown and produced from the same vineyard, pruned by the same people in the same style and left to Mother Nature to impart annually distinct flavors, scents and character. The Smith brothers have been growing and producing Riesling since 1983 (about 17 years before the rest of California attempted to jump on the bandwagon). It has been hailed as one of the 50 best wines in the world according to Stuart Pigott, author of “The Best White Wine on Earth: The Riesling Story.” Orange blossom, jasmine and honeysuckle with lemon zest and crisp minerality, followed by white peach and pear with a creamy, lingering finish. Perhaps this is the best Riesling on Earth and why Charlie saved the best for last. Weightless in the mouth, mineral driven and very fresh. Charles described it as edgier, racier and more austere (than the 2013). From Stu and Charles Smith’s 42-year-old riesling vines high up Spring Mountain, this captures the sage-like scent of the hills in a refreshing and discreetly elegant white. Hints of orange blossom and lemon zest fill out the mineral-inflected acidity, then the wine juices up again in the finish, clean and refreshing. It’s just fun to play with wines of pure individuality. Riesling finds a fun manifestation in Smith-Madrone’s Spring Mountain example---jasmine, honeysuckle, white peach and nectarine and just 12.6% alcohol. Top Ten Mother's Day Wines: Originating from terroir that winemaker Stuart Smith purchased in 1971, the Smith-Madrone vineyards produce grapes perfect for crafting French- and German-style wines. The Smith-Madrone 2013 Riesling boasts aromas of stone fruit, white flower and honeysuckle. Flavors of citrus and stone fruit are rounded out by a creamy finish. Orange blossom nose with hints of gasoline then white flowers on the palate and developing peach and pear fruit. Bone-dry minerality will soften. Curiously charming. Light yellow; fragrant, floral, citrussy, white peach and green apple aroma with hints of kiwi and honeysuckle; medium body; crisp, citrus and stone fruit flavors with bright acidity and a silky mouthfeel; lingering aftertaste. Very highly recommended. If you want salt-of-the-earth, look no further than Smith Madrone. Stu and Charlie Smith have been making wine on their special slice of mountainous Napa Valley since the 1970s – and they are one of the prized and coveted producers of crisp, fruity and dry Napa Valley Riesling. Many producers can’t pull this off, but the Smiths do so brilliantly. The 2014 has a lightning bolt of acidity with crisp citrus fruits and minerality. A sip of this wine may have you declaring that the very heart of the Napa Valley is in them there hills. This riesling will turn heads with its great minerality. It has gorgeous stone fruit of apricot and peach, with lime in the mix. This riesling is rare because it has pitch perfect balance. Strikingly crisp. This riesling has great minerality and gorgeous stone fruit of apricot and peach, with lime in the mix. No question, it will pair exceptionally well with the rich foods at your feast. This pale yellow wine is vibrant with lively acidity and is quite refreshing. Aromas of stone fruit, apples, honeysuckle and a hint of grapefruit were present. The palate was a feast of lime, apricot, honeysuckle, citrus notes and a hint of spice. The finish was long with a creaminess lingering on the palate. I wouldn’t hesitate to serve this at Thanksgiving! The 2013 Smith-Madrone Riesling is stunning, surely one of the very best to come out of Napa Valley. An extremely floral nose of soapstone, quinine, papaya, smoke and roses greets the nose. On the palate it is both concentrated and elegant, with a very high acidity, though it does gain some honeyed fruit with air. The finish is quite long and wonderfully rocky. A bit of lemon, stone fruit, and some petrol on the nose, but still rather shy. On the palate rather impressive with a tart acidity and focus. While I was making my way through this wine, I could not help but think I was doing a bit of an injustice–I am fairly certain that it will continue to improve for 5, 10, even 15 years. Maybe longer. I doubt that I have not had a finer Riesling from Napa Valley. In Napa, where Cabernet is king, it is the Riesling from Smith-Madrone that claims its rank amidst royalty with a bright and bold proclamation both on the nose and on the palate with wild floral, sharp citrus and fresh apple decrees. From Stu and Charles Smith's 42-year-old riesling vines high up Spring Mountain, this captures the sage-like scent of the hills in a refreshing and discreetly elegant white. Hints of orange blossom and lemon zest fill out the mineral-inflected acidity, then the wine juices up again in the finish, clean and refreshing. Chill it for any roast fish. A Riesling to win over the toughest critics. Apples and pear, honeysuckle and jasmine with chalky minerality and can-just-put-your-pinky-on-it white pepper, vegetal finish. Just beautiful. Some wines manage to be both serious and charming, and such is the case with Smith-Madrone 2013 Riesling. Its seductive aromas of peach, nectarine, apricot, lime, and grapefruit precede bright apple, mango, pineapple, and lemon flavors that are balanced by lively acidity and complicated by nuances of honeysuckle, spice, and mineral. This dry Riesling could accompany a wide variety of savory fare, but it would also be the perfect wine to sip on a summer evening when the temperature does not go down with the sun. This is a beautiful expression of a dry style. With only .75% residual sugar content and 12.6% alcohol, this Riesling remains refreshing and sophisticated. The nose boasts notes of white peach, white nectarine, salted lemon, wet rocks and stony minerality. The palate jumps out of the gate with bright acidity, followed by a round, creaminess at mid-palate, then finishing with that ever-so-gentle kiss of faint sugar—balanced by a touch of salted lemon and lemon zest. Flavors of green apple, ripe pineapple, kiwi and mango abound on the palate; gentler notes of honeysuckle, sweet peaches and minerality linger beneath the surface. The fresh acidity is well balanced by a welcoming roundness of body, making for a rather enjoyable tasting experience. This wine is also an excellent candidate for cellar aging. 90 points: Light yellow with flecks of green. The nose reveals apples, pears and honeysuckle balanced by a lively dose of lime citrus and a whiff of petrol. In the mouth, the Smith Madrone Riesling is medium in body and begins with a round personality revealing melon and a honeyed sweetness before developing a racier side with assistance from vibrant acidity, citrus notes and spice. This has good verve and tension and is frankly hard to put down. This makes a compelling argument for more Riesling in Napa and in your wine cellar. I tasted a 2007 Smith Madrone Riesling during my visit and it was already developing very well and showing more developed secondary notes of honey and petroleum and had considerable life left. This boutique Spring Mountain winery is producing stylish wines of substance that emphasize balance and restraint over sheer power. 91 points: Pale straw color. Lovely limestone, crushed shells and chalk on the nose, overtop of white peach and yellow apples. Crisp and bracing, with fine acid and a mineral-centric approach. I get the sense I’m drinking lime juice from a glass made of crushed rocks and chalk. Juicy white peach and apricot mix with sliced Granny Smith apples, a hint of honey. A complex but clean and refreshing wine. Smith-Madrone are masters of Napa Riesling. Very pale green color with wet stone. lime, stone fruit, quince and a hint of lychee aromas. On the palate medium-bodied, elegant, and harmonious with mouth-watering acidity and a great texture with very appealing white peach, lime, melon, a bit of lemon and apricot flavors and a complementary minerality. Lingering finish. Very Good to Outstanding; 89-91 points. From 41-year-old vines on just over five estate acres, this is resiny and briny on the nose. A honey-laced creaminess at the core is tensely accentuated by vibrant acidity. Balanced and elegant, with a sunny bite of ripeness, it revels in nuances of fresh and dried apricot while lighter notes of lemon, lime and grapefruit play backup. 92 points: Maybe more than any other varietal wine, a great Riesling will vary from year to year in the hands of the same producer because the ripeness of the grapes -- dictated by the weather of each particular growing season -- determines the balance of sweetness and acid that is ideal for that year’s wine. The 2013 Smith-Madrone Riesling is in fact different from the equally good 2012 Riesling. It’s richer in texture, and slightly sweeter (at 7.5 grams/liter, still within the dry category) to balance the wine’s acidity. The vibrant aromas and flavors express grapefruit, green apple, ripe peach and apricot: tartness and richness together. Savory mineral notes lace their way through the palate and hint that the wine will have so much more to say in the future. This is a delicious Riesling that strikes a captivating balance. It’s great now, but experience tells me that it will age wonderfully, like so many other Smith-Madrone Rieslings. A bit restrained on the nose initially, minerality peeks through after aeration. Granny Smith apples and sweet citrus fruit unfold in the mouth with lemon taffy, freshly squeezed lime and orange rind flavors playing off one another. This is a sassy, edgy Riesling with liberal acidity from start to finish. 92 points: 100% Riesling. Easily one of the best US Rieslings I’ve tasted of late. So many American Rieslings succumb to the off-dry siren song (and end up being cloying), but not this one. This one is gloriously dry with teeth-twinging acidity and precise balance. Pale golden hue. Nose is chalk and minerals with a passing whiff of grapefruit. Flavors of peach and green apple. Acid lovers of the wine world — this one’s for you! Retail price = $27 (and worth every penny). 92 points: Think dry…Think crisp…Think refreshing… A beautiful dry Riesling from one of the few Riesling vineyards left in Napa Valley. Aromas of citrus, honeycomb, pear, honeysuckle and wet stone minerality. A soft mouth-feel with food pairing acidity accentuates flavors of pear, green apple, white peach, honeysuckle, honeycomb and creamy vanilla. Notes of honeysuckle become more apparent as the wine opens. This wine pairs with a wide variety of foods from lighter summer fare to roasted chicken. Highly recommended: light and lively, very dry, with aromas and flavors of ripe peaches, green melons and minerals; many consider riesling the world’s noblest grape; Americans just don’t know much about it. This wine poured a soft golden yellow in the glass and opened with beautiful aromas of stone fruit, tropical fruit, crisp minerality and a touch of fresh cut grass. On the palate this beautifully balanced dry Riesling delivered round flavors of apricot, peach, Asian pear, Korean melon, with a touch of honey, all layered on top of a firm minerality foundation. It was crisp, smooth and just the right amount of dryness to make my mouth water upon swallowing. It had a lingering finish and full mouth-feel. I am a HUGE Riesling lover and this was a good Riesling! I recommend this wine! With Southern fried chicken, pick Riesling: Lively acidity counters the chicken’s battered richness, while aromatic fruit---even in the fairly dry Riesling here---handles the heat. Smith-Madrone 2013 Riesling: Bright acidity carries green apple, white peach, honeysuckle and minerals, with the tiniest touch of sweetness. Pale blonde in the glass, this wine smells of wet stones, green apple, and white flowers. In the mouth zippy flavors of green apple, lemon juice, and Asian pears have a crisp brightness to them and just the faintest hint of yeasty sweetness. Continues to vie for being one of the top Rieslings made in California. A commendable representation of Riesling in California, albeit with restrained aromatics. There’s a touch of sulfur in the foreground, but it quickly dissipates into light aromas of peach syrup and almond. In the mouth, these sappy stone fruit flavors flesh out and become an expansive fruit bowl of sweet melon, apricot with clear mineral tones and juicy grapefruit in the end. Acidity is fresh and correctly balanced, and the wine offers an advanced course in Rheingau-styled Rieslings in a climate where only impassioned winemakers succeed with the varietal…..Try the following as an introduction to the nuances of vintage and the alpine amplitude of Smith-Madrone’s wines. They are wines that define the region, from a winery that is not only on top of Spring Mountain, but also, on top of their game. Once again, a reason to give thanks for a decision made years ago by the Smith brothers to keep their Riesling vineyard when everyone else was grafting over to Chardonnay. White flowers, stony minerality, nectarine, mixed citrus and a hint of tart apple are all here, presented in a crisp, dry style with crystalline acidity that will cut through food and set you up for the next bite, or the next sip, in whichever order you choose. Top that off with a potential to improve with age for the next twenty years, and you've got a winner. More California wines like this, please! This is the best riesling in Napa Valley. It has been 12 years since I first stepped onto the Smith-Madrone property high up on Spring Mountain and tasted this wine for the first time; I’ve hardly missed a vintage since. It’s the kind of wine you create an evening around: invite friends over, pour this crisp riesling with pot-sticker appetizers or a dinner of Asian-style chicken (light soy sauce, ginger, honey and garlic sauce) or pork tenderloin stuffed with apples and dried apricots. If you want a simple fruity white, look elsewhere. This riesling is exotic with guava fruit and groves of different citrus flavors from a festive, zingy lime to lemon and grapefruit, along with melon and honeysuckle. My Pick of the Litter. I am one of the few wine reviewers who finds myself indifferent to more rieslings than I like, but this is my kind of riesling. It is truly a food wine with excellent fruit, citrus, and citrus peel flavors combined with lots of mineral tastes and a somewhat tangy finish. Riesling? From Napa Valley? Fascinating! This dry wine had a fine amount of richness along with proud Riesling character. It’s a bit of a survivor, too, showing well even after being open for a week in the harsh, barren clime of my bachelor fridge. (Between the Tapatio and Sriracha, truth be told. Actually, it would be a great wine for spicy food.) Stuart Pigott, author of “Best White Wine on Earth: The Riesling Story”), calls Smith-Madrone “the unsung heroes of American Riesling” and puts their bottling in his global Top 20 Dry Rieslings list. ATTENTION ALL WINE GEEKS. …a producer that can be relied upon year after year to turn out riesling of character and balance…it carries its .41 percent residual sugar with aplomb, coming off tasting dry thanks to its bracing acidity. Its flavors of tropical fruits, peaches and apples will be right at home with the rich range of the Thanksgiving meal. An herbal, full bodied style of Riesling on the nose. A tad more phenolics than I think you’d find in a similar wine from Germany or Austria. But there is admirable acidity and it finishes dry – much drier than most American Rieslings. In fact it’s a bit young. A sterling effort and I feel they should be rewarded for persisting with Riesling in the Napa Valley. 90 points: Pale yellow color and clear in the glass. Delicate aromas of lemon zest, green apple, peach and toast. Flavorful range of citrus fruits and peach with a note of iron-driven minerality and bright acidity. Has the goods to age for many years. "Raise a glass to the region’s resurrection with these expert-recommended warm-weather wines....The 2012 vintage of Smith-Madrone Riesling is my ideal wine for fall. it offers beautiful aromatics of stone fruits, pressed flowers, and lemon pith, and on the palate it is focused and lively.—Kelli White, co–wine director at Press Restaurant, St. Helena. " Very pale lemon-green color with appealing stone fruit, apple lime, wet stone, and a hint of lychee aromas. On the palate it approaches medium-bodied and is dry, clean, focused, and well-structured with tart apple, peach, lime, and mineral flavors and a long persistent finish. Made from 40 year old vines. The best American Riesling I’ve had! Light yellow color; attractive, fragrant, slightly oily, citrus, apple, and white peach aroma with a hint of honeysuckle; medium body; crisp, citrus and white peach flavors that are nicely balanced with bright acidity and have a silky mouthfeel; lingering aftertaste. Shows distinctive varietal character and is relatively dry on the palate. One of five American Rieslings that wine author Stuart Pigott finds remarkable, with his description…. Brothers Stuart Smith (vineyard manager) and Charles Smith (winemaker) have been making stunning dry Riesling on Spring Mountain in Napa Valley for more than 30 years. Their wine has intense aromas of melon, lime and dried flowers. The bright and "light" style is deceptive, though, for this is a wine that can age for more than a decade if properly cellared. This is an almost unknown masterpiece that proves Riesling can achieve greatness in Napa. Reserved in its fruit, this wine’s robust mineral intensity draws a clean line through to the end. The fragrance of the grape captures scents of dried brush, sage and the floral notes of fresh cream. Pale and rich, this is a dry Riesling to serve with Dungeness crab. It was one of the more complex rieslings tasted, alternating with suggestions of tropical fruits, peaches and apples. Its elegance would put it among the First Growths of California riesling, if there were such a classification. 91 Points: Very pale slightly green tinged straw color with appealing stone fruit, apple lime, wet stone, and a hint of lychee aromas. On the palate it approaches medium-bodied and is dry, clean, focused, and well-structured with tart apple, peach, lime, and mineral flavors. Long persistent finish. 12.5% alcohol. 798 cases produced. Made from 40-year-old vines. My favorite American Riesling. It's drinking well now, but Riesling can be aged for decades, and you can keep yourself from drinking it, you'll be rewarded! All the wines were simply outstanding. Highly recommended. And I heartily recommend a visit too. The property is amazing (with breathtaking views on clear days), the Smiths are gracious, and knowledgeable hosts. A good time will be had! Easily one of the most interesting white wines that I have tasted this year. Its enticing peach, apple, citrus, and melon aromas lead to luscious tart apple, lime, melon, apricot, and peach flavors that close in an impressively vibrant finish. The exuberant fruit of this wine is perfectly balanced by ample acidity, making it completely delicious for casual sipping, though it would also nicely complement most seafood and poultry dishes. In fact, if you are planning to reprise a turkey-based Thanksgiving feast on Christmas or New Year’s Day and wish to pour something sure to delight your dinner guests, I wholeheartedly recommend this remarkable Riesling. The Smith-Madrone 2012 Riesling was produced from estate fruit. The riesling vines on their Spring Mountain property had 40 years of age on them at the time of harvest. This offering is 100 percent varietal. They bottled 798 cases of this wine and it has a suggested retail price of $27. White peach and flower aromas emerge from the lovely nose of this 2012 riesling. Lychee fruit and apricot flavors are in abundance on the palate which is studded with appealing fruit flavors and accompanying spice notes. Flinty mineral driven notes lead the impressive finish along with granny smith apple, lemon zest, and a hint of grapefruit. This is easily my favorite riesling to come out of Napa Valley each year. There isn’t much riesling worth speaking about in Napa Valley and quite frankly, this is one of just a couple examples that I’d recommend spending your money on so in addition to being delicious, it’s also a rare bird of sorts. At a Wine Media Guild tasting in New York in March...the standout wine for me at the tasting was a white: Smith-Madrone’s 2012 Riesling. Napa is not known for Riesling — the climate is generally considered too warm for the noble grape to shine — but Smith-Madrone obviously has the right (mountain) location, as well as the knack. With classic, tangy stone fruit notes on the nose and palate, this is a wine of energy and zest, finishing long and bone dry. It’s certainly one of California’s best, and world-class in its own right. There should be more interest from consumers for well-put-together Rieslings like this. It's dryish, low in alcohol, acidic and minerally, with effusive citrus, peach, white-flower and honey flavors that require some thought to fully appreciate. With only 12.8% alcohol by volume, it has a complex delicacy. 90 points: A very light yellow color. Aromas of grapefruit, white flowers, some apricot and a distinct crushed limestone note. The acid tingles the palate as the apricot, creamy peach and green melon roll in. There’s an awesome lime juice and rock quarry aspect that reminds me of the Mosel, which I’m not sure I’ve ever said about a Napa Riesling. Very crisp and lively, this likely has some fun evolution ahead of it. 93 points: With very little Riesling remaining in Napa Valley, we can be thankful that this mostly dry farmed vineyard still exists. And, we can be doubly thankful that it is in the hands of Smith-Madrone, who year after year turn out great dry Riesling. Stony mineral, vibrant lime, green apple, stonefruit, flowers all come through in both aroma and flavor, with lip smacking acidity that says “more, please!” It will make a great solo aperitif, or serve it with light appetizers -- you’ll want a couple of bottles if more than three or four people are gathered. 2013 was a great year, wasn’t it? Over the course of the year I tasted a lot of amazing wines and toured many a beautiful California vineyard. As a writer for the daily wine blog Terroirist, I blind-tasted my way through a lot of samples in 2013, most of which hailed from CA. I found myself gravitating toward several producers who put out consistently awesome wines, regardless of vintage or grape variety. Founded in 1971, Smith-Madrone’s winery is located on Spring Mountain, west of St. Helena. The operation is run by brothers Stuart Smith, managing partner and vineyard manager, and Charles Smith III, winemaker. They dry farm their estate vineyards, which line steep slopes between 1,300 and 2,000 feet in elevation. Their mountain wines are dynamic, lively and they show a refreshing sense of purity and minerality. 90 points: One of my favorite discoveries this year was Smith-Madrone’s 2012 Spring Mountain District Riesling. I’m rarely excited by Rieslings from Napa, but this one stoked my palate with refreshing dryness, intense minerality, high acid and loads of stone fruit and minerals. A very light yellow color. Aromas of grapefruit, white flowers, some apricot and a distinct crushed limestone note. The acid tingles the palate as the apricot, creamy peach and green melon roll in. There’s an awesome lime juice and rock quarry aspect that reminds me of the Mosel, which I’m not sure I’ve ever said about a Napa Riesling. Very crisp and lively, this likely has some fun evolution ahead of it. Bright fresh aromas of Granny Smith apples, conifer, lemon zest, mineral and blossom. The palate is bright and bracing acidity, citrus, petrol and graphite. Solid wine, tasted at room temperature. Drink 2014 – 2016. 91 points: A modest mild entry of peach, tart apples and white grapes are a treat to the palate. The Riesling from 40-year-old vines, which are mostly dry-farmed, stainless steel-fermented and –aged, gets rounder as you keep sipping. It continues to stay restrained and coquettish and its flash of cleavage peeks out in its bold minerality flanked by a generous apricot finish. “50 Great Wines of [The Year]” is a post I look forward to, even though its production is fraught with anxiety. “Fraught with anxiety!” you exclaim. “FK, you get to taste and write about terrific wines all year long! This task should be easy!” Look, my apostrophe-addicted friend, I started with a list of 76 potentially great wines and had to eliminate 26 of them. It was painful; it hurt my brain and my spirit. Even now, going back over this post just before I click the PUBLISH button, I am wracked by indecision and regret. On the other hand, life is about choices, n’est-ce pas, and we all have to knuckle down and make those choices, difficult as the job may be. I reviewed 624 wines in 2013. How did I choose... By reading again every review I wrote over the past year, by weighing the description and the language, by revisiting my memory of the wine, by looking for wines that possessed that indescribable quality of charisma, that combination of personality and character that distinguish a great wine. This 40 year old Spring Mountain Riesling vineyard is one of the few left in Napa Valley, producing a consistently excellent dry wine year after year. Enjoy its excellent food pairing qualities or on its own. A robust nose with aromas of white peach, pineapple and wet stone. A round mouth-feel balanced with juicy acidity and just a kiss of sweetness. Integrated flavors of ripe pineapple, honeycomb, apricot, red apple, minerality and pear. Smith-Madrone Vineyards is owned and operated by Stuart and Charlie Smith, who founded the winery 42 years ago on Spring Mountain, overlooking the Napa Valley village of St. Helena. They make three wines: cabernet sauvignon, chardonnay and riesling. The brothers have uncompromising integrity in the vineyards and the cellar, and they believe even great wine should be affordable. Hence, the Smith-Madrone wines are priced well below the market for estate-grown Napa Valley wines with so much history behind them. …the 2012 Riesling is a testament to fruit. With ever so slightly less alcohol than last year’s Riesling, and a tad drier, the 2012 hits 12.5% abv with just over 0.4 residual sugar. Very pale in the glass, the nose simply bursts forth with juicy fruit. Apples, citrus, pear and melon aromas all seem to be trying to elbow each other out of the way. The promise of the fruity nose is delivered upon with a lovely palate, dry and tangy with brilliant acidity, but also adorned with the taste of red apples and lime peel. It’s a food-friendly and refreshing white wine. The color is a shimmery pale gold with fleeting green highlights; aromas of green apple, pear and lemon are infused with jasmine, lime peel and limestone. Flavors of roasted lemon, lychee and peach are fresh, ripe and lightly spiced, while crisp acidity and scintillating limestone and flint minerality lend the wine verve and excitement. Excellent. Floral notes of citrus, blossoms and a faint earthy note to give the wine a more Pfalz-like minerality. Made with just the barest hint of residual sugar, so it is pretty dry, but so succulent you can serve it with spicy Asian foods. Brothers Stuart and Charles Smith have been making beautiful Riesling from a six-acre plot in Napa Valley for 40 years. "91 points: 'a rare bird' and more ..."
This 2012 Riesling, despite being technically dry, has such exuberant fruitiness that it does not taste at all severe or angular. The wine is medium-bodied, with crisp acidity that hides behind the wine's fruitiness but reveals itself in mid-palate depth and a long thrust of flavor across your mouth and into the finish. The wine's texture is silky, shot through with energy from the acidity. Aromas and flavors suggest white peach, green apple, lime and melon; if "minerality" were not a problematic descriptor these days, I would say that the wine also has that character, a chalk-like, tactile nuance. ...if you enjoy Riesling, you should try this wine and have fun characterizing it for yourself, because it is an American original. Simply put, this is a beautiful wine, produced by brothers who could replant their 40-year-old Riesling vines to more profitable Cabernet Sauvignon, yet refuse to do so. Charles and Stu Smith's Rieslings are known to live admirably long lives in the cellar, yet their 2012 is delicious now, and should remain so for 15 years or more. Seamless and balanced, it has the minerally, earthy, wet-slate character of classic Riesling, a trait that is nearly impossible to achieve in sunny California. The Smith-Madrone 2012 has perfectly ripe apple and yellow stone fruit flavors, hints of lime and candied ginger, and a long, minerally finish – at just 12.5 percent alcohol. This wine puts to rest the notion that California cannot produce classy Riesling; it takes devotion, and the Smith brothers have it. "...old vines pack power into those aromas ..."
Old vines (40 years) pack power into those aromas and tastes of green apples, citrus and white peach, and close that finish with a zinger. Attractive, moderately intense, citrussy, green apple and stone fruit aroma with floral notes and hints of jasmine and honeysuckle; crisp, well balanced, citrus and white peach flavors with a clean, dry finish. "...has the right nerve ..."
If you want to know what all the hubbub is about this sommelier-loved grape, taste this dry-style Riesling from Smith Madrone, which has been planted up on their mountain property since the early 1970s. It has the grape's renowned nerve, structure and a range of flavors: an orchard of different apple varieties, herb and minerality. Pale yellow color with green highlights, beautiful tears on the glass. Aromas of stone dust, white pepper, tangerine, peach and orange zest. Very good acidity, flavors of lime, blood orange and stone, which imparts a beautiful minerality to the ensemble. Very long. Drink now or within seven to eight years.